Do You Need Winter Tires in Vancouver? Are you living in Vancouver and wondering if you should buy winter tires? You might have seen it in the news lately, the City of Vancouver is considering making winter tires mandatory. In British Columbia, certain roads in mountainous terrain are accessible only to vehicles equipped with winter tires. But this legislation is not yet applicable everywhere in the province. However, winter driving in Vancouver (and other cities on the “Wet Coast”) comes with its own particular challenges. The combination of the closeness of the ocean, the temperature fluctuations and the moisture in the air can create dangerous driving conditions. A great number of citizens are against making winter tires in Vancouver mandatory, while others seem to think it would be a great move. From December to February last winter, Vancouver received 63.4 cm of snow. It might seem like nothing for the folks in Quebec, but it’s actually more snow than what they had in Toronto, Regina and Saskatoon. For 42 consecutive days, the temperature in Vancouver was below 5℃. Winters like this one (with historic cold snaps and significant snowfall) should normally happen every 30 year in Vancouver. But scientists say that with the climate changes, such winters could become more and more frequent. Of course, snow and ice make driving harder, but it also has a number of consequences: blocked traffic, stuck vehicles, road accidents, etc. All-Weather Tires or Winter Tires in Vancouver? Even though winter tires seem to have grown in popularity in British Columbia over the last few years, they are still used by only 49% of the population, compared to 55% in Alberta, 65% in Ontario and an impressive 81% in Atlantic Canada. Outside of Quebec, 68% of the Canadian population uses winter tires. So why is it that the other 32% is still not using winter tires? Sure, buying a second set of tires is an additional expense, but it is definitely worth it. An important number of road accidents related to winter conditions have been reported accidents over the years. But this number increased dramatically last winter when Vancouver received an unexpected quantity of snow. When the first snow storm hits your city, you are going to be grateful you have winter tires. During winter, it’s crucial that you drive slower and that you keep a safe distance between your car and others. Although there might not be much snow in Vancouver, temperatures in the winter often go below 7℃. And that’s exactly when it is important to have winter tires in Vancouver, because your tires’ performance is directly influenced by the temperature. Below 7℃, all-season and summer tires become stiffer because they are not adapted to such temperatures. That stiffness causes the tires to lose all traction power and reduces their braking performance, which can be life-threatening. And what about all-weather tires? Well, even if they have the mountain and snowflake icon, they do not offer the same performance as winter tires. On the other hand, winter tires have a soft rubber and a tread pattern that is specifically designed to perform in cold temperatures. They offer optimal traction and reduced braking distance. They are much safer than all-weather tires when it comes to driving in snow and even on ice. Statistics say that braking performance is up to 62% better for vehicles with winter tires than for those with all-season tires. One may think that all-season tires are the best of both worlds. They may be in theory, but in reality, they aren’t. Even though they are marketed as being optimized for both cold and warm temperatures, they do not perform well in summer or winter. They just barely pass the test. Why Buy Winter Tires in Vancouver? One may think that all-season tires are the best of both worlds. They may be in theory, but in reality, they aren’t. Even though they are marketed as being optimized for both cold and warm temperatures, they do not perform as well as summer tires and winter tires. All-weather tires have a stiffer gum which means they do not provide good traction on ice or snow. Moreover their tread pattern is not adapted to winter. All-weather tires pass a number of tests to ensure they meet the security standards. The results of these tests determine if they get to be identified with the snowflake and mountain icon. All-weather tires barely pass the tests; winter tires get great results. You should think twice before you decide what to choose. The best and safest solution is to run two sets of tires: summer tires and winter tires. There are two main reasons why some people don’t have two sets of tires: money and storage. However, these reasons are superficial. The amount you spend on winter tires, you save it with the reduced wear on your summer tires. Some think that unlike two wheeler vehicles, four wheeler vehicles are equipped with a number of safety devices that prevents them from slipping on icy roads. Actually, if you don’t have winter tires on your vehicle, its traction power is very low. Things like electronic stability control and anti-lock brake systems cannot be relied on as they do not work to their full potential in winter conditions. Winter tires are specifically designed to give your vehicle more traction on ice and snow-covered roads. A lot of people think that you can install only two tires winter tires on your vehicle. However, it’s not a good idea: the result would be too unpredictable and could endanger your life. You do not gamble want to gamble with your life. If you don’t want the trouble of mounting and dismounting your tires every season, you can purchase a dedicated set of wheels for the winter. 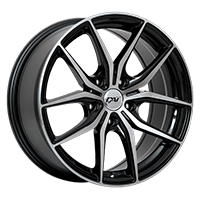 We have the largest selection of rims on the market: alloy wheels, replica wheels and steel wheels. You don’t need a big budget: we have plenty of affordable steel wheels. Some alloy and replica wheels are not suitable for winter. You can install our new set of wheels with winter tires in Vancouver in the middle of November or when the temperatures drop below 7℃. When it gets warmer, around mid-April, you should remove your winter tires. Driving with winter tires during summer damages them. Instead, store your winter tires somewhere cool and dry, away from the sun. And most importantly, remember that having a second set of tires is not doubling the expense, it's halving the wear. Why Buy Winter Tires Online? We're able to get better prices because we purchase wheels and tires in large quantities from our suppliers. Moreover, to ensure we get the lowest prices possible, we negotiate on a regular basis. The most important thing to us is to simplify our customer's purchase experience… and we think that the first step should be to help you save money on tires and wheels. When buying on PMCtire.com, not only do you pay less, but you also save on transport. As you may have noticed, we offer you free shipping, almost everywhere in Canada. Furthermore, if you buy 4 tires and 4 wheels, you get your new tires installed on your new wheels for free! Then we ship your package straight to your door! You will fall in love with our prices and your overall purchase experience! Shipping is free almost everywhere in Canada when you order 4 tires or wheels and more. Take advantage of our great prices, save on transport and get your products delivered to your door quickly. As we mentioned before, here at PMCtire, we want to simplify your life. And that starts from the moment you select your new winter tires to their installation at one or our affiliated installer. In 2010, we started building a list of affiliated installers that are located everywhere in Canada. 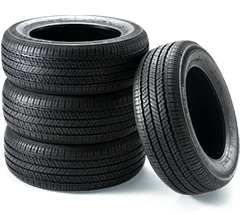 We are the first tires and wheels e-commerce in Canada to offer that kind of service. Our ever-growing list is made up of workshops that hire only the best and most professional technicians in the country. So when you purchase tires and wheels on our website, you can count on one of our many affiliated installers to get the job done. Our affiliated installers use only the best equipment to mount and to balance tires, including touchless tire changers and electronic wheel balancers. Moreover, they hire the best certified technicians to mount and dismount tires. Furthermore, if you need other mechanical services, they will gladly help you (wheel alignment, brake check, suspensions, electronic diagnostics, etc.). We have 8 affiliated installers located in the greater Vancouver area (Surrey, Barnaby, etc.). So if you live in or around Vancouver, you can have your tires delivered at the affiliated installer you prefer and they'll take care of the installation. If you are used to going to a garage that is not on our list, you can also choose to have your tires and wheels there... or even at your office! If you want to have your products delivered at a garage near you, when you check out, enter your postal code (home or office) in the appropriate box. A list of the closest affiliated installers will appear so you can choose the one that is more convenient for you. Just select the affiliated installer you prefer and its address will automatically be added as the delivery location for your tires and wheels. In most cases, shipping is free, but if any fees apply, you will be noticed at the next step. After you select the affiliated installer you prefer, you finish checking out. Your new tires and wheels will automatically be shipped to the affiliated installer you have selected. A member of our customer service team will communicate with the installer you’ve chosen to make sure everything taken care of before they receive the shipment. You’ll receive a tracking number so you can follow your package, get an approximate idea of the delivery date and get notified when the tires are arrived at location. On the carrier’s website, you will be given an approximate delivery date for your order. A minimum of 2 days before the approximate delivery date, communicate with the affiliated installer you have chosen to schedule an appointment for the installation (and other services you might need). Each affiliated installer has its own pricing for tires mounting, balancing, and installation. Keep in mind that there might be additional charges for the installation of run-flat tires, TPMS valves, etc. You will have to pay the amount due for mounting, balance or installation directly to the affiliated installer. All of our affiliated installers were previously chosen because of their equipment for the installation of tires and wheels, their highly qualified technical staff and the range of mechanical services they offer. When making an appointment with the affiliated installer you've, you can always ask them for any other mechanical service. Affiliated installers are qualified to perform checkups and other necessary repairs! Our customer service team is highly trained to offer you with great advice and technical help with all things related to wheels and tires. Whether you want to know what winter tires you should buy, which wheels fits with your vehicle or where you could have your tires and wheels installed, they are always ready to help. Our website is totally secure, which means you can shop in full confidence. Our online service is available 24 hours a day, 7 days a week!